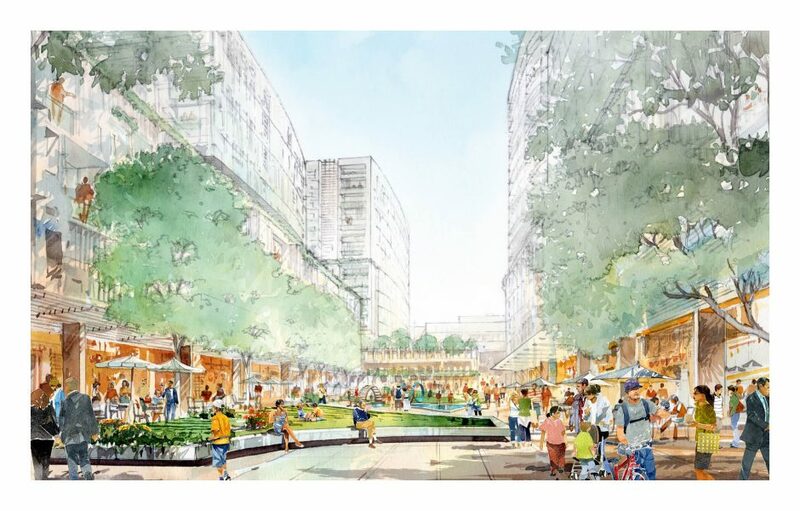 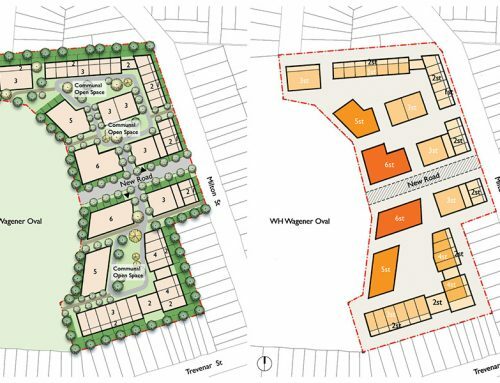 GM Urban Design & Architecture (GMU) was appointed by Toga Property & Development to prepare an urban design report for a potential development proposed at 61 – 73 Parramatta Road, Five Dock. 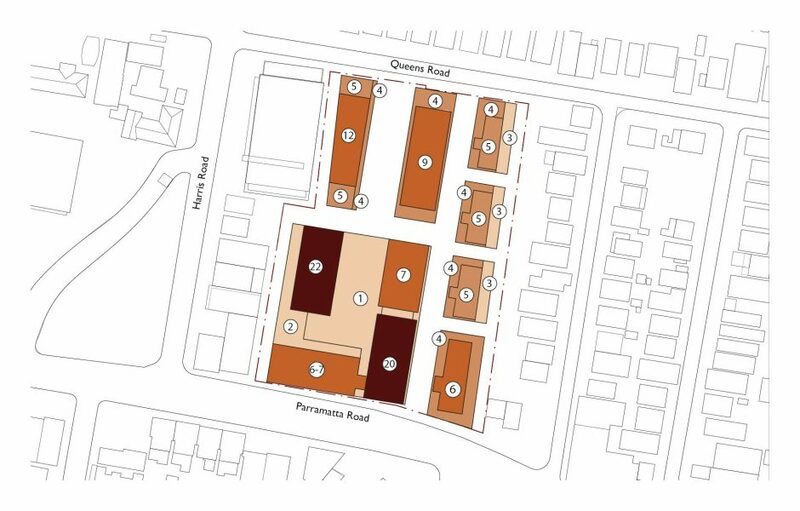 To guide the future development of the site and indicate the general built form parameters of the proposed development, GMU provided the site specific DCP for the site to guide building height and separation, streetscape response and setback, building depth, public domain, pedestrian and vehicular network, deep soil area, etc. 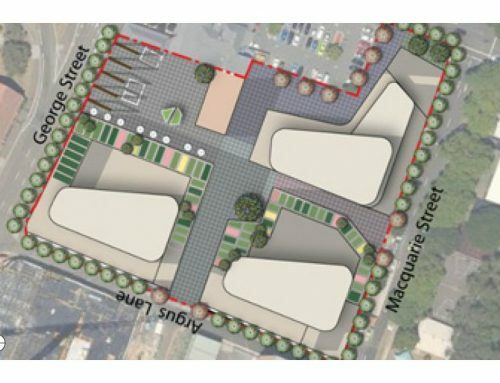 GMU determined that the subject site is strategically placed as a large amalgamated block in close proximity to a number of key opportunity sites, to become part of a new centre for Five Dock along Parramatta Road. 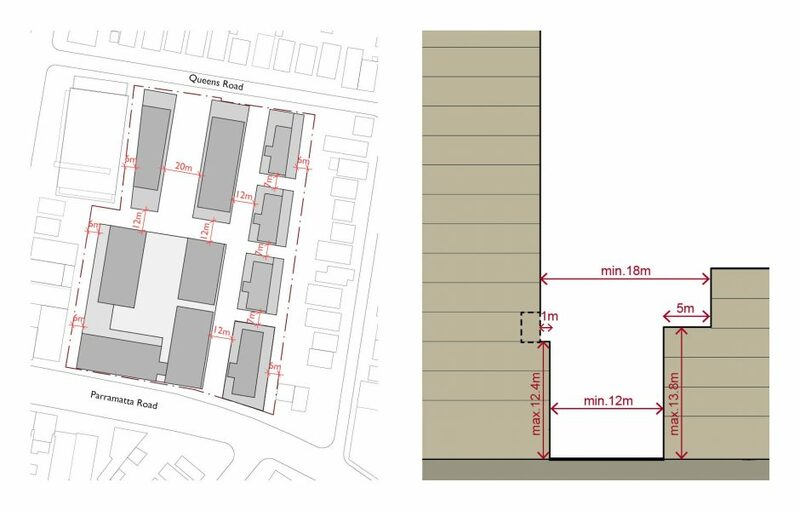 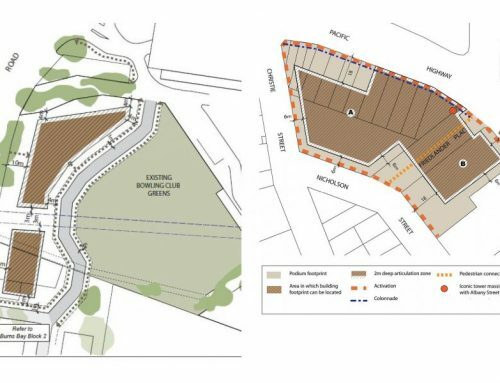 Through comprehensive site analysis, GMU has concluded that it is reasonable and appropriate to consider rezoning the subject site to B6 Enterprise Corridor and increasing the maximum height and FSR allowable by the controls for the site. 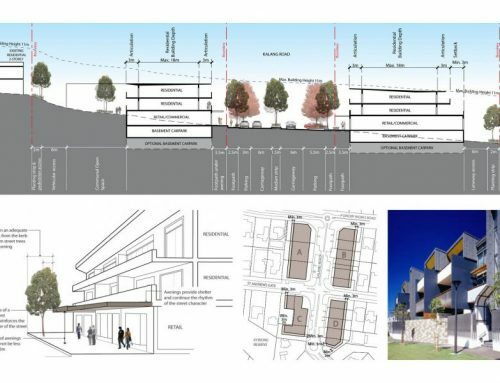 Based on heights found to be appropriate to reinforce the role of an emerging new centre along Parramatta Road, GMU recommended that the Consent Authorities considered allowing a maximum height of up to 79m, to allow for a maximum height of 18 – 20 storeys, with a localised area of 22 storeys building height for a built form marker and a maximum FSR of 3.5:1.